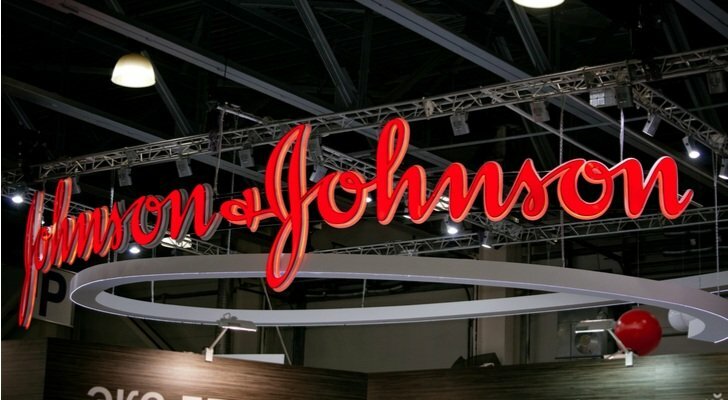 Shares of Johnson & Johnson (NYSE:JNJ) rallied recently after the consumer and pharmaceutical healthcare giant reported first quarter numbers that topped expectations, while also hiking its full-year revenue and profit guide. JNJ stock rose a few percentage points in response. The shares now trade near $140, up a healthy 15% from late 2018 lows. For a stock that’s been range-bound between $120 and $150 for several years, the JNJ stock move toward $140 is an interesting move. Naturally, investors have to ask themselves here: How much longer can this rally last? Specifically, can JNJ stock finally breakout above $150 this time around? I’m not convinced. To be sure, Johnson & Johnson is a stable growth company trading at a stable growth valuation. But, growth is slowing as the global economy cools, and prices above $150 are only fundamentally supported for JNJ stock if growth accelerates from here. That won’t happen. As such, despite the strong beat and a higher guidance, I think that this 2019 rally in JNJ stock will ultimately top out at $150, much like previous rallies in the share have over the past two years. The best way to describe the fundamentals underlying JNJ stock is that they are stable and healthy, but won’t get much better anytime soon. Johnson & Johnson is a big business with lots of moving parts. But, at its core, there are three businesses here, and all three are supported by stable demand drivers. First, there’s the consumer business, which sells health and wellness products that have historically proven to have stable demand. Second, you have the pharma business, which sells various medicines that consumers need, regardless of competitive landscape or economic backdrop. Third, you have the medical devices business, which is a necessary component in the stable demand healthcare industry. Overall, then, Johnson & Johnson is supported by three stable but low-growth businesses. That’s why adjusted operational sales growth at the company has consistently run in the low- to high-single-digit range over the past several years, and also why margins have concurrently inched higher during that stretch. But, this year’s guide calls for just 3% adjusted sales growth. That would be the second-lowest adjusted sales growth rate over the past five years. Further, adjusted profit growth is pegged around 7%. That, too, would mark one of the weakest profit growth years in recent memory. In other words, thanks to a global economic slowdown, Johnson & Johnson’s numbers are getting slightly weaker. This slightly weaker growth profile should be the new norm going forward as we enter into the last few innings of this economic expansion. Ultimately — and unfortunately — slower growth may put a lid on the current rally in JNJ stock. The level to watch for — and be cautious of — is $150. From a technical perspective, this has been JNJ’s ceiling for the past two years. The big 2017 rally in JNJ stock was ultimately short-circuited when the stock got close to $150 in early 2018. Then, the big 2018 recovery rally in JNJ stock was likewise short-circuited when the stock again closed in on $150 in late 2018. The 2019 rally in Johnson & Johnson stock looks well on its way to $150. If history holds up, it will ultimately be short-circuited later this year when the share price approaches $150. Fundamentals say that history should hold up in 2019, and then break in 2020. Broadly speaking, Johnson & Johnson projects as a mid-single digit, 3-5% adjusted revenue grower over the next several years. During that stretch, profit margins should continue to expand, but at a slower pace than over the past five years given slower top-line growth. That combination of tepid revenue growth and some margin expansion should produce earnings-per-share of $13 by 2025. Based on a market average and historically average 16x forward multiple, that equates to a fiscal 2024 price target for JNJ stock of $208. Discounted back by 7% per year (three points below my normal 10% rate to account for the yield), that implies a reasonable fiscal 2019 price target of just under $150. As such, a price tag above $150 for Johnson & Johnson stock isn’t fundamentally supported until 2020. Johnson & Johnson is a fine company supported by healthy fundamentals. But, prices above $150 for JNJ stock aren’t fundamentally supported until 2020. As such, this big 2019 rally in JNJ stock will ultimately top out around $150, much the big 2017 and 2018 rallies. Article printed from InvestorPlace Media, https://investorplace.com/2019/04/why-the-rally-in-johnson-johnson-stock-may-top-out-at-150/.